Fence Detective is the one-of-a-kind app that detects whether an electric fence is live or not. The app uses a patent-pending method to detect the presence of electric pulsing, without the need to come into physical contact with the wire, thus keeping users out of harm's way. Dan (pictured here receiving the award from presenter Te Radar), had the idea while out working on his farm one day. To make it a reality he brought together a team of clever Kiwis, including Beta Solutions - the electro-mechanical consultancy, and Muli Mobile - NZ's leading enterprise mobile applications company. 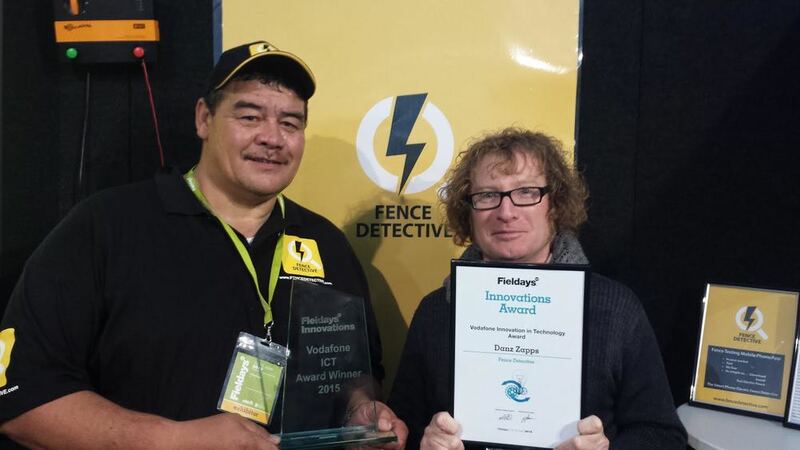 Winning the National FIeldays Vodafone Innovation in Technology Award opens up significant opportunities for Danz Zappz in both local and export markets. Congratulations, team! Newer PostWill Apple release a bigger iPad?